Sophia Wilhelmina Mariana Henrietta was born on 9 July 1836, at Biebrich Castle in Wiesbaden, Germany. Her parents were William, Duke of Nassau, and Princess Pauline of Württemberg. Rumours had it that the Duke terrorised the family with his moody personality, which was altered by a drinking problem. He died when Sophia was only three years old. Growing up, Sophia was given a typical princess education. Classes in music, languages, and history were combined with fencing lessons to secure a royal posture. The British influence in the Nassau household was prominent. The official language spoken was English, not German, and Sophia’s upbringing was reminiscent of a middle-class Victorian lifestyle. Following a rebellion in the Duchy of Nassau in 1848, Sophia travelled to St Petersburg with her mother to study the life of the Russian court. They stayed at the home of Sophia’s maternal aunt, Princess Charlotte of Württemberg, who was married to Grand Duke Michael Pavlovich of Russia. During this time, Sophia was a student of the pianist Anton Rubinstein. At the outbreak of the Crimean war, they were forced to go back to Germany. After the death of her mother in 1856, 20-year old Sophia moved in with her half-sister Princess Marie of Wied at Monrepos Castle. Around the same time, Prince Oscar of Sweden was travelling around Europe in the search for a suitable bride. He visited several royal courts, but it wasn’t until he headed to Germany and Nassau that he found what he was looking for. Unlike many royal marriages of the time, the relationship between Oscar and Sophia was not arranged, and they fell in love with each other. The engagement was announced in October, and Sophia was educated in the Swedish and Norwegian languages to prepare for her new role. The wedding took place in June 1857 at Biebrich Castle, and the bride took the Swedish spelling of her name, Sofia. Two weeks after the ceremony, the newlyweds travelled to Sweden and Stockholm, where they were greeted by an enthusiastic crowd. Dressed in blue, the Princess was given the nickname “The Blue Duchess”. Photo: Prince Oscar and Sofia on their wedding day, 1857. 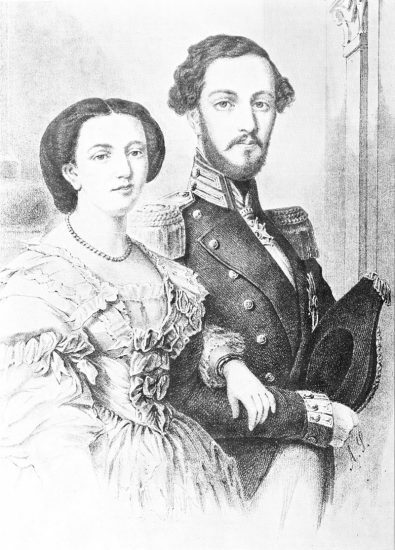 In 1858, Sofia’s popularity grew when she gave birth to the couple’s first child, a boy. She ended up having four sons, but after having gone through a total of four pregnancies in a short amount of time, her health declined significantly. In an attempt to recover, she travelled to warmer climates in the south of France, and would occasionally go back to her childhood home in Germany to visit family and friends. In 1864, the royal couple visited “The pearl of the trait” of southern Sweden, the city of Helsingborg. Delighted with the views over Öresund and its proximity to Denmark, Oscar and Sofia decided to build a summer residence in the city. At Oscar’s request, it was named Sophie-ro and is today known as Sofiero. The castle would, later on, become a meeting point for European royalty, particularly King Christian of Denmark. 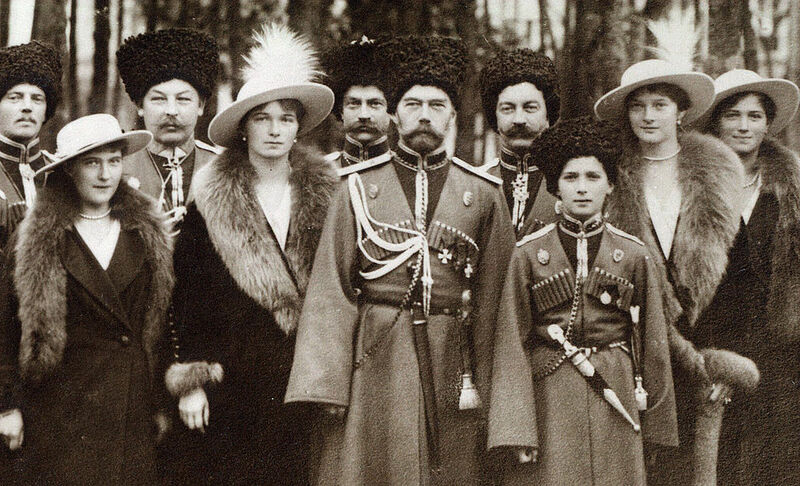 He would be accompanied to Sofiero by his two daughters Maria Feodorovna, wife of Tsar Alexander III of Russia, and Alexandra, Queen of the United Kingdom and wife of King Edward VII. 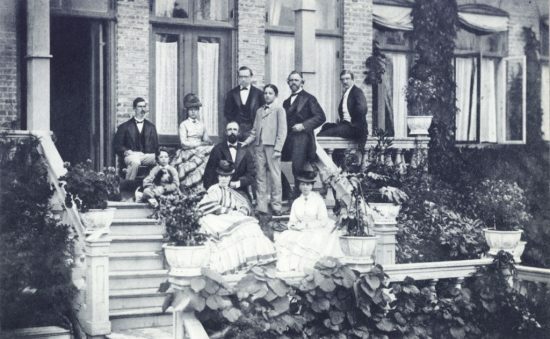 Photo: Oscar and Sophia surrounded by family, Sofiero Castle, the 1860s. Upon the death of King Charles VX in September of 1872, Oscar assumed the thrones of Sweden and Norway, and Sofia was crowned Queen Consort the following year. She loved Norway and its breathtaking nature and spent many of her summers in the neighbouring country. By 1892, she maintained a permanent residence at Skinnarbøl Manorhouse, located close to Kongsvinger north of Oslo. The Queen was very popular with the Norwegian people, and when asked by her husband what she wished for on her upcoming birthday, she replied: “Peace between the people”. Still in poor health, Sofia continued her travels to southern Europe to meet with specialist doctors. On one occasion, she had to cancel a royal tour with her husband in Germany due to illness and was often bedridden behind palace walls. She spent her time reading books and magazines from different parts of the world and developed a broad knowledge on several topics. King Oscar is said to have been very proud of his wife’s all-round education, and would often consult her for information and advice. They had a relatively happy marriage, but the relationship was marked by infidelity. Although she never showed her feelings in public, the Queen was deeply hurt by her husband’s alleged affair with a Danish actress, and it strongly affected her already weakened health. Sofia has been described as intelligent, serious, and deeply religious. She engaged in extensive charity work and was determined to improve the country’s medical care. Considered the forerunner of nursing in Sweden, she served as a source of inspiration for the Nordic health system. She was greatly inspired by Florence Nightingale and loved reading stories about her work. In 1881, the Queen travelled to Great Britain together with her husband to learn about the country’s social reforms. They were welcomed by Queen Victoria in London and spent their time studying the capital’s medical institutions. Back in Stockholm, Sofia initiated the establishment of a new education program for nurses and opened a private hospital, Sophiahemmet. 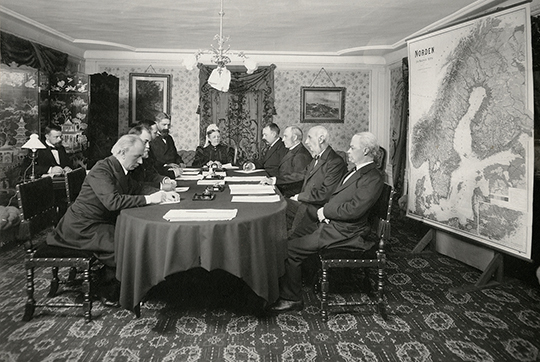 Photo: Queen Sofia at the Jubilee Committee for combating tuberculosis, Stockholm Palace, 1897. The dissolution of the union Sweden-Norway in 1905 meant that Sofia’s title changed to only being Queen of Sweden. In 1907, King Oscar died at the age of 78, and Sofia was declared Queen Dowager. As such, she maintained her interest in politics and foreign affairs and spent her last years committed to philanthropy. She frequently travelled to Great Britain, where she would throw charity dinners for the aristocracy to finance new hospitals, schools and nursing homes. 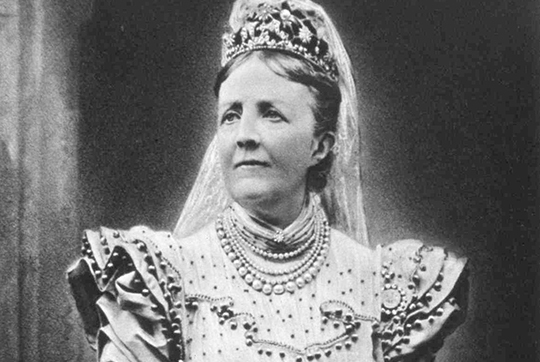 These efforts further increased her popularity among the Swedes, who regarded the Queen Dowager as a “second mother”. Her last official appearance was in 1913, at an exam celebration of the nurses at Sophiahemmet. One of the graduating nurses was her granddaughter Maria Bernadotte, daughter of Prince Oscar. A few days later, Sofia died of pneumonia, aged 77. 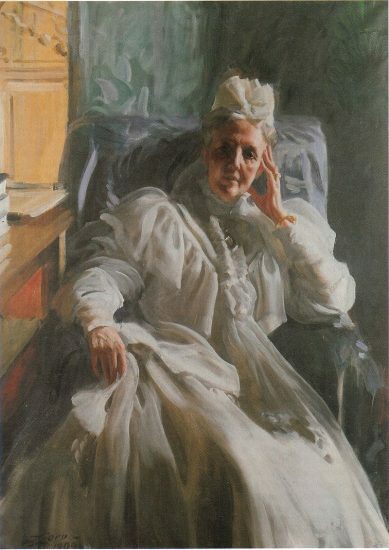 Photo: Queen Dowager Sofia, painted by Anders Zorn, 1909. Sofia is the great-grandmother of the current King of Norway and the former King Albert II of Belgium. Her great-great-grandchildren include Queen Margrethe II of Denmark, King Carl XVI Gustaf of Sweden, and Henri, Grand Duke of Luxembourg.